"One Way or Another: Asian American Art Now"
Asia Society presents a uniquely conceived exhibition of exciting artwork by 17 of today�s emerging Asian American artists, most born after 1970, working in a wide variety of media including painting, sculpture, installation and video. The exhibition juxtaposes works by highly individualistic, iconoclastic artists. Many of the works have not been shown before and some are newly commissioned for the exhibition. One Way or Another: Asian American Art Now is Asia Society�s first major group show devoted to contemporary Asian American art since its groundbreaking 1994 exhibition, Asia/America: Identities in Contemporary Asian American Art. In contrast to this earlier exhibition�which showed works by artists actively wrestling with their immigrant experience�One Way or Another presents artists whose work is much more grounded in their grounding in the United States. The exhibition is curated by a national, three-person team: Susette S. Min, formerly curator at the Drawing Center in New York and now Assistant Professor, Asian American Studies and Art History at University of California, Davis; Karin Higa, Senior Curator of Art, Japanese American National Museum in Los Angeles; and Melissa Chiu, Director of the Museum and Curator of Contemporary Asian Art, Asia Society. The exhibition title is drawn from the 1978 Blondie hit reflecting the visible influence of popular culture on these artists� work. 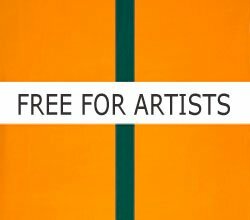 Many of the participating artists live in or are otherwise firmly based in three locales: Los Angeles, New York and the San Francisco Bay Area. Aside from being major arts centers, these regions are also significant population centers of Asian Americans with the attendant resources serving those diverse communities. Participating artists include Michael Arcega (b. 1973, Manila, The Philippines), Xavier Cha (b. 1980, Los Angeles, CA), Patty Chang (b. 1972, San Francisco, CA), Binh Danh (b. 1977, Kien Giang, Vietnam), Mari Eastman (b. 1970, Berkeley, CA), Ala Ebtekar (b. 1978, Berkeley, CA), Chitra Ganesh (b. 1975, Brooklyn, NY), Glenn Kaino (b. 1972, Los Angeles, CA), Geraldine Lau (b. 1970, Singapore), Jiha Moon (b. 1973, Taegu, Korea), Laurel Nakadate (b. 1975, Austin, TX), Kaz Oshiro (b. 1967, Okinawa, Japan), Anna Sew Hoy (b. 1976, Auckland, New Zealand), Jean Shin (b. 1971, Seoul, Korea), Indigo Som (b. 1966, San Francisco, CA), Mika Tajima (b. 1975, Los Angeles, CA) and Saira Wasim (b. 1975, Lahore, Pakistan). A brilliant satirist and conceptualist working in all media, Michael Arcega deftly interprets current political events in parody, visual puns and use of double entendre. His work Eternal Salivation (2006), a ship held aloft by a pedestal of crates, is a modern retelling of Noah�s ark and reflection on Hurricane Katrina, commenting on the arbitrariness of survival and the challenges raised by global warming and devastating hurricanes and tsunamis. Patty Chang is an established video performance artist whose works have been presented in galleries and museums throughout the United States, Europe and Asia. Her body-based works are often both comedic and disturbing, treading a line between fiction and reality. She has created a new video work for the exhibition. Ala Ebtekar�s works over the past four years have been profoundly affected by his visits to Iran which began at the age of nineteen when he returned to his parent�s birth land. His first large-scale installation, Elemental (2004), synthesizes the delicacy of Persian miniatures and calligraphy with Iranian coffeehouse painting as well as hip-hop and graffiti cultures in the United States. Drawing on tales of creation and moral struggle from Hindu, Indian and Greek mythology, as well as from poetic and current event sources, Chitra Ganesh explores scenes and moments neglected in traditional narratives. In mural projects such as Evidence of Past Lives (Jersey City Museum, 2005), 637 Feet of Running Wall (Queens Museum of Art, 2002), and Broken Spell (Wave Hill, 2005), Ganesh combines drawing, assemblage, and washes of color to create fantastical scenes of these re-imagined events. She has created a new site-specific wall painting for the Asia Society exhibition. Glenn Kaino is a conceptual artist whose work takes on a variety of forms including sculpture, film, painting and online media. In his work Graft (2006), conceived and produced for the present exhibition, he has created a pair of taxidermic animals, a pig and a salmon whose skins have been swapped with those of a cow and a shark, respectively. The work was inspired by a partial face transplant recently performed on a French woman who had been mauled by her dog. It also references the spate of reality TV programs hawking �make-overs� by means of plastic surgery, diet, and personality coaching. Laurel Nakadate is a photographer and video artist who describes her work as a hybrid of documentary photography and pop culture. Her videos construct narratives through chance encounters with strange men she meets on the street. According to the artist, her work explores themes of voyeurism, exhibitionism, discomfort, loneliness, disconnection, longing, wishing, watching, hostility, gullibility, fear, cunning, slapstick and folly. For this exhibition she has created a new work titled I Want to Be the One To Walk in the Sun (2006, digital video). The exhibition is accompanied by a fully illustrated 128-page catalogue distributed by Yale University Press, with commissioned essays by leading authorities in the field demonstrating the new artistic approaches of this generation of artists. Short entries on each artist including biographies and discussions of their work are also included.